A következő gépekre szerelhető Koparki 8-14 ton. Excavators with weight from 8 to 14 tones. Bagger mit Einsatzgewicht von 8 bis 14 Ton. екскаваторів від 8 до 14 тонн. для экскаваторов от 8 до 14 тб. The bucket HAMMER SR is available in five sizes for excavator weighting from 5 to 40 tones and different sieve sizes. The machine is suitable for separating stones or waste from sand or earth. - 5 models for excavators with operating weight from 5 to 40 tones. 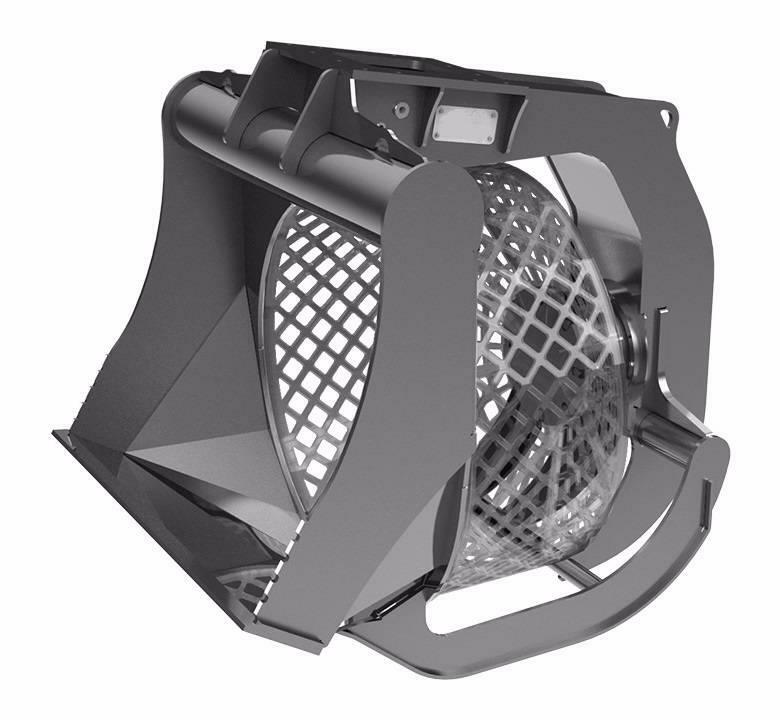 - In standard version sieve made with steel S355, in option with steel Hardox.